A client will be asked to wear either headphones on or small earbuds in and a small bone oscillator behind their ears. They will listen to sounds at different loudness levels and at different pitches (pure tones). The client will respond each time by pressing the response button or by raising their hand. The client will also be asked to repeat lists of words or phrases at different loudness levels. Part of a standard hearing test is to asses how well a person understands speech at levels that are loud enough for a person to understand speech well. This is called speech discrimination or word recognition. This information will tell the hearing instrument specialist how well a person can expect to hear with properly fit and programmed hearing aids. This important decision should be made only with the advice of an experienced hearing professional. If you are presently wearing a hearing aid and would like to upgrade or replace your instrument, make an appointment with one of our licensed hearing health care professionals for a free consultation. Regardless of where you purchased your hearing aids, Cape May County Hearing Aid Dispensary is able to repair all makes and models. Minor repairs are done in our lab. Major repairs are performed off-site and require 7–10 days. 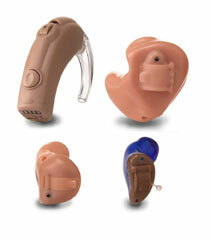 Cape May County Hearing Aid Dispensary may be able to provide you with a loaner at no charge.